His New Profession is a 1914 American comedy silent film made at the Keystone Studios and starring Charlie Chaplin. 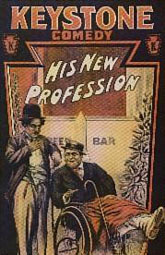 The film involves Chaplin taking care of a man in a wheelchair. It is also known as "The-Good-For-Nothing".